Stampin' Up Products: God's Beauty stamp set; Markers in Wisteria Wonder, Always Artichoke, Pumpkin Pi, Peach Parfait, Lovely Lilac, Melon Mambo, Old Olive, and Tempting Turquoise; Handsome Hunter cardstock. Other items from my stash: watercolor paper, white embossing powder, hemp, baker's twine, yarn. This looks like a painting! Just beautiful. Thank you for joining the TCP Tuesday challenge at The Cat's Pajamas. Gorgeous! 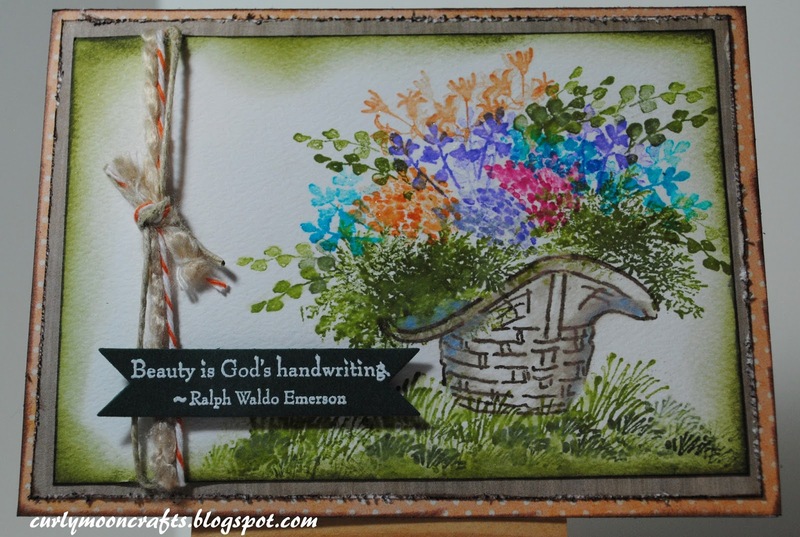 I thought a first you had used Stamps by Judith to create this lovely. It does look like a miniature work of art! Thanks so much for joining us at The Cat's Pajamas TCP Tuesday Challenge!